Margaret helped found the GRA and served as the organization’s first president. She lived on a ranch her entire life and was an excellent horsewoman who rode in rodeos at a time when there were no events for women. Often she would compete in match roping events after a show. A champion roper, she was among the first women to compete in roping at Pecos, Texas. 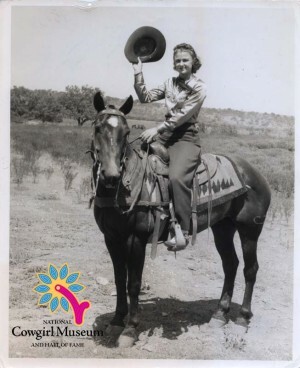 Actively promoting rodeo, Margaret helped with amateur and professional all-girl rodeos.